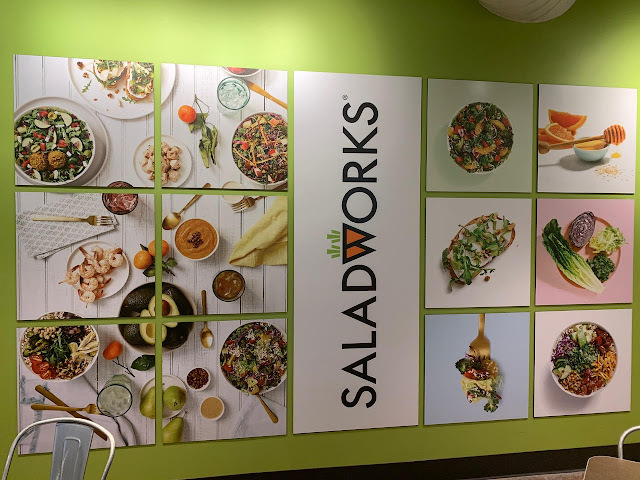 You Will Love the New Saladworks in Southlake! 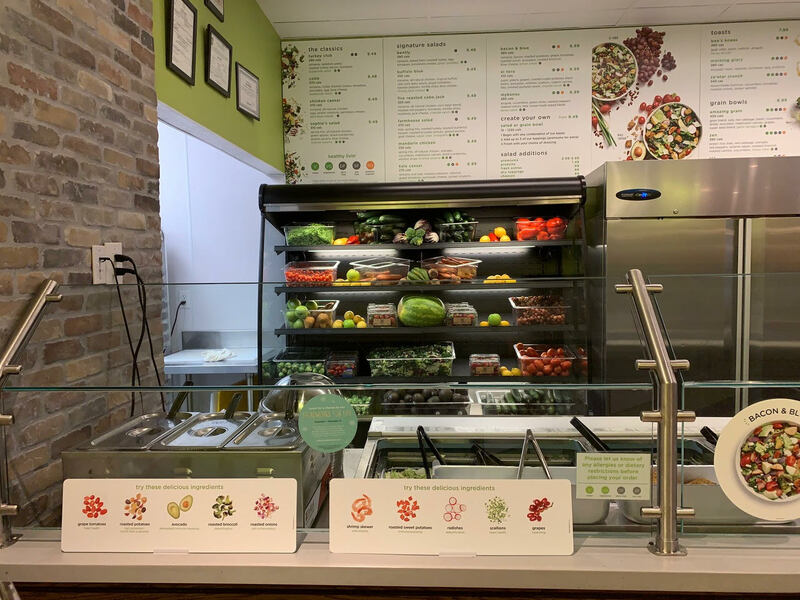 If a healthy lifestyle is at the top of your New Year's resolutions list, you will quickly fall in love with the new Saladworks in Southlake. This trendy restaurant is conveniently located on Southlake Boulevard (in the plaza with Ulta, Kohl's, etc.) and offers a crave-worthy menu that will help you to stay on track with goals to eat healthy meals. 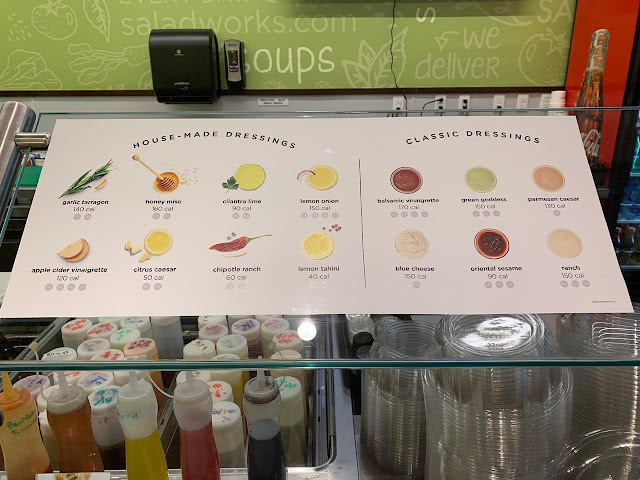 We visited Saladworks a few times over the past couple of weeks and want to tell you about it because we are in love with the restaurant and menu items. 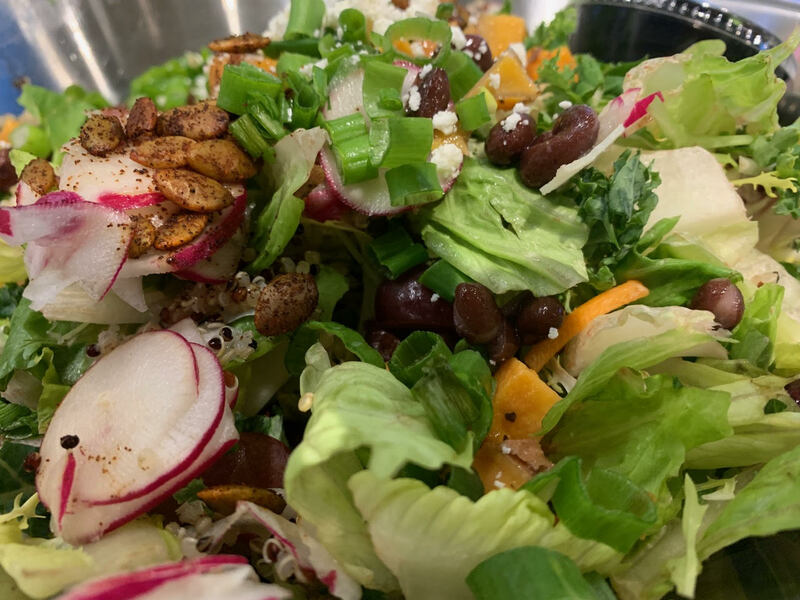 They make it convenient to pack colorful veggies and protein into our diets and have delicious homemade salad dressings that add special touches that we haven't found elsewhere. I felt like the chefs for this restaurant really thought about the important components of different types of salads and then upped the game by adding options such as roasted brussels sprouts, roasted sweet potatoes, butternut squash, and more. They even have unique dressings. For instance, the Citrus Caesar is my favorite dressing because it offers a special twist on one of my favorite dressings! If you crave avocado toast or a grain bowl, they also have you covered! Let me share a few photos of example salads. The first is my husband's favorite - El Toro. This trendy salad contains a house green blend, grapes, roasted sweet potatoes, black beans, avocados, radishes, scallions, quinoa, feta, smoked pumpkins seeds, house-made chipotle ranch dressing. Personally, I love the option to create my own salad! 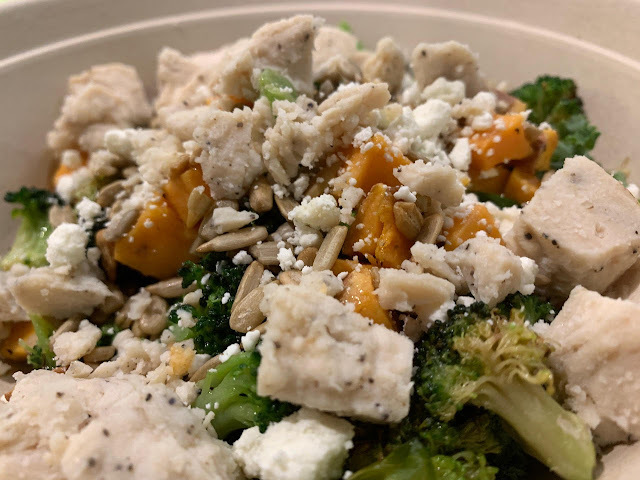 The salad below includes baby kale, chicken, goat cheese, sunflower seeds, roasted sweet potatoes, and roasted broccoli. If you browse the list of ingredients, you'll find that there is a combinatorial explosion of possibilities. 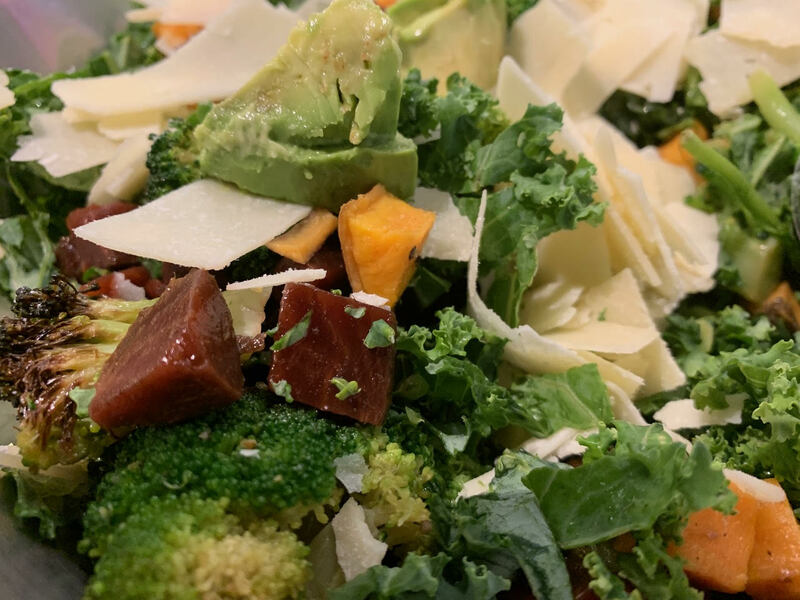 The salad below was created by my son with baby kale, avocado, roasted sweet potato, avocado, shaved Parmesan, and beets. He is a one of a kind. I think that it's awesome that Saladworks makes it easy to create unique combinations! There truly is a combinatorial explosion on the number of possible salads that are possible to create! 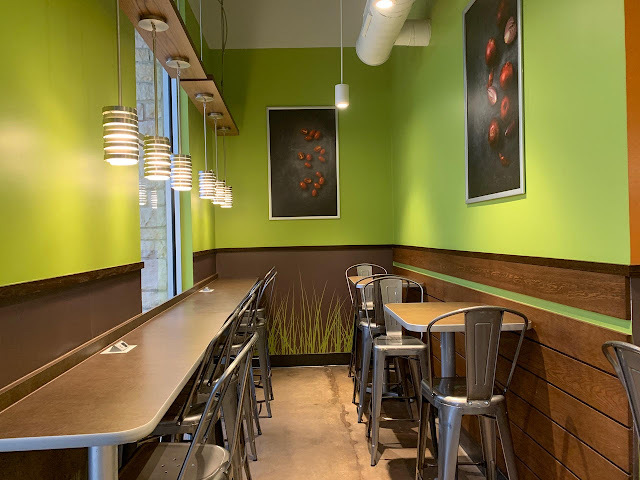 Finally, while I showed how beautiful, clean, and open the restaurant is, let me also share that they have a few tables tucked away in the front of the restaurant where I enjoy sitting when I visit with my toddler. If you have little ones, you may appreciate my secret sitting space. My toddler is tucked into the corner and enjoys looking out of the window while also watching customers enter the restaurant. I hope that you have the chance to visit a trendy Saladworks restaurant. 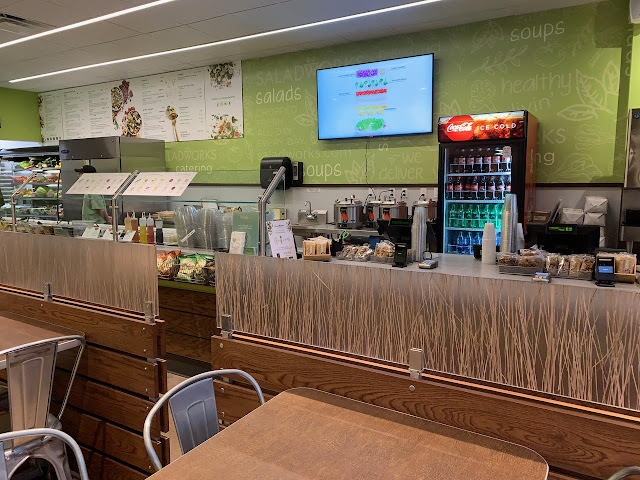 Click here to find a Saladworks location near you!